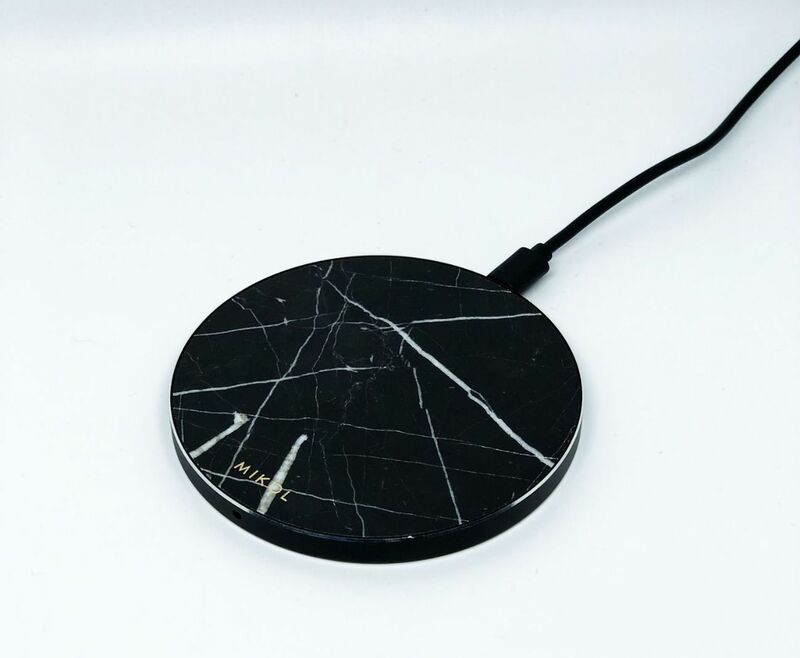 Stylishly charge your smartphone with the Mikol Real Marble Wireless Charging Pad, featuring unique Spanish Nero Marquina. 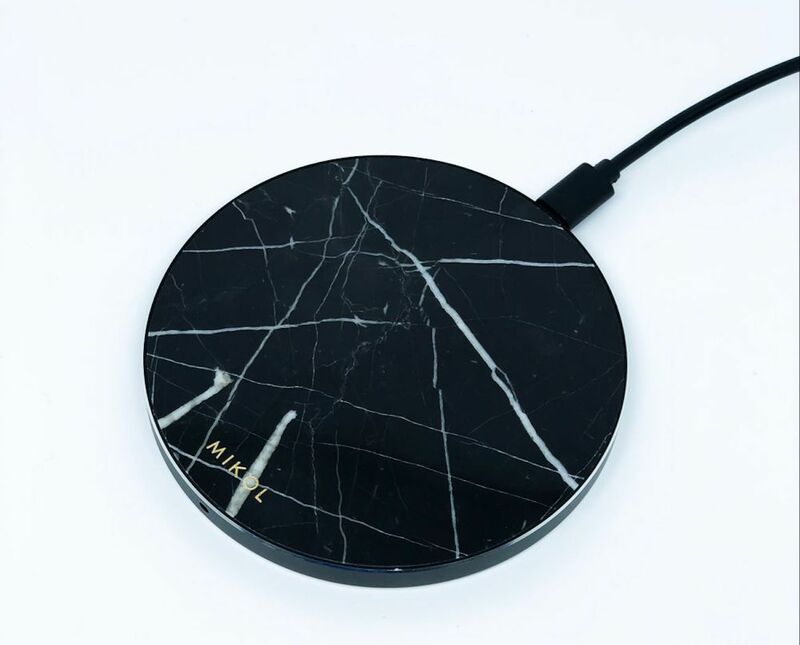 Stylishly charge your smartphone with the Mikol Real Marble Wireless Charging Pad. 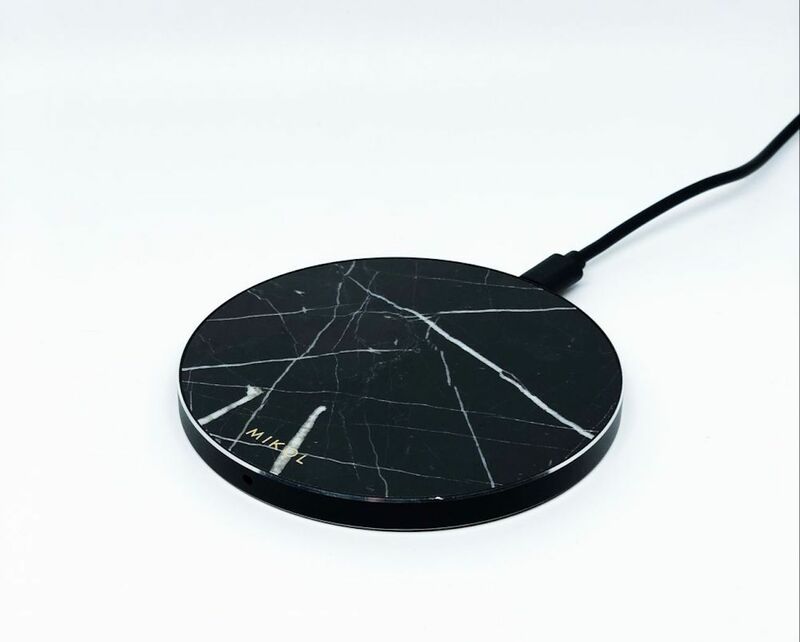 Featuring unique Spanish Nero Marquina, the Mikol marble charging pad fits in with any setting. 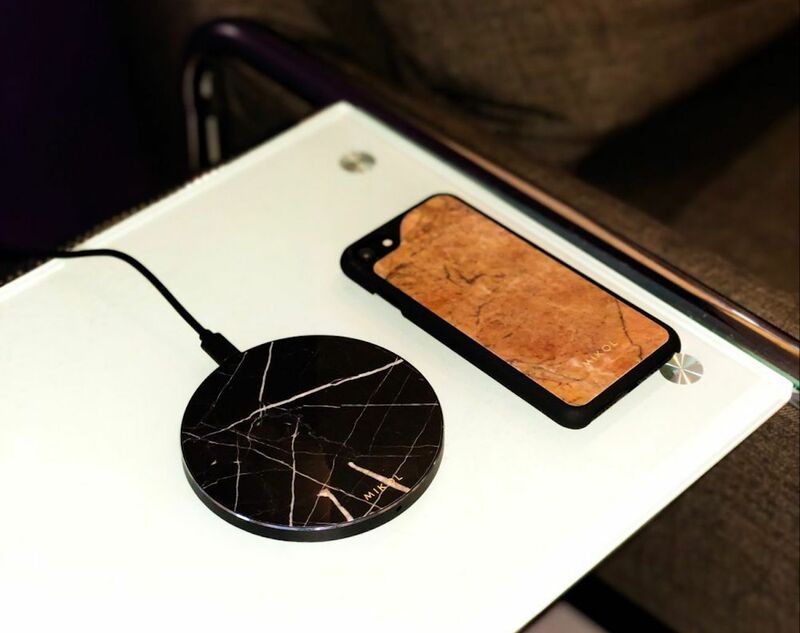 Using real natural marble as well as alloy casing, the Mikol charging pad adds a touch of luxury wherever you place it. 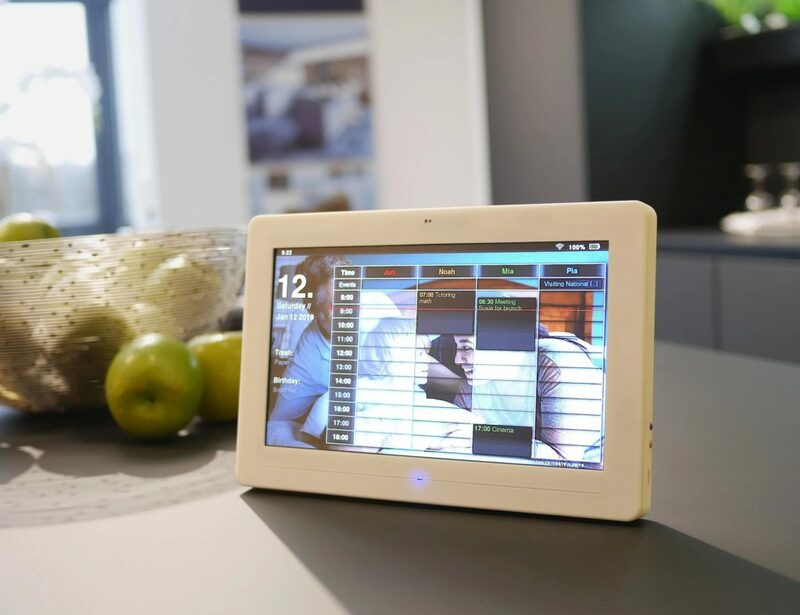 Additionally, the charging pad protects your devices with short-circuit protection. 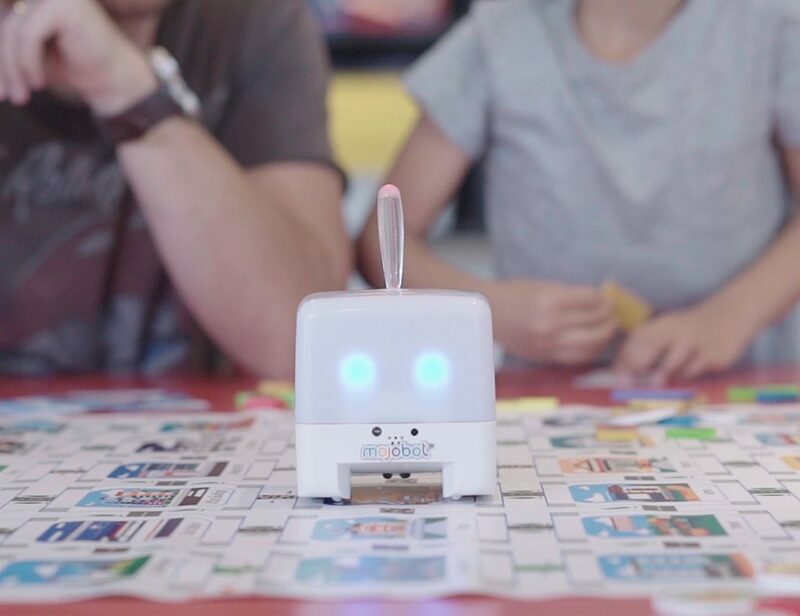 Likewise, it comes with built-in over-voltage and under voltage protection. 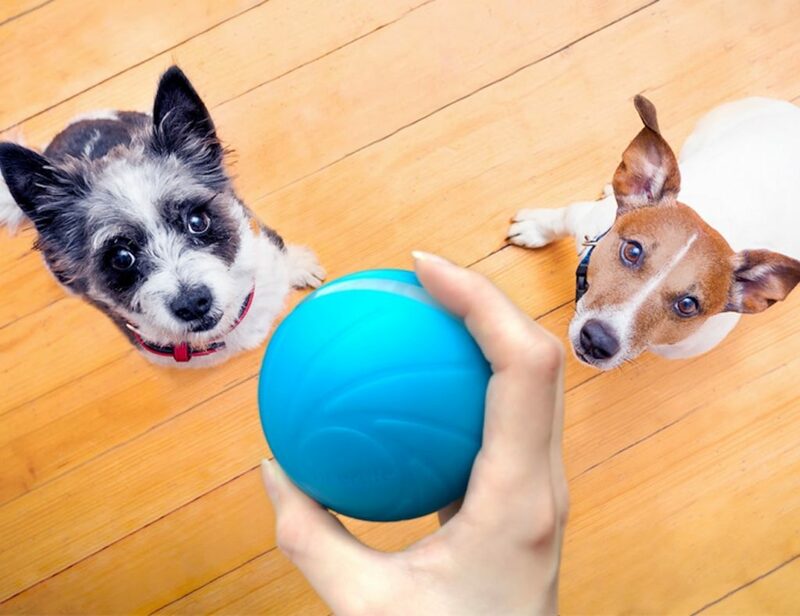 The marble charging pad also helps you save space with its compact design. In fact, it is small enough to fit in the palm of your hand. Furthermore, you can easily tell when your device is in charging position thanks to the LED indicator. Finally, the charging pad works with any Qi-compatible device, such as the iPhone 8, iPhone X, Samsung Galaxy S7 and S7 Edge.